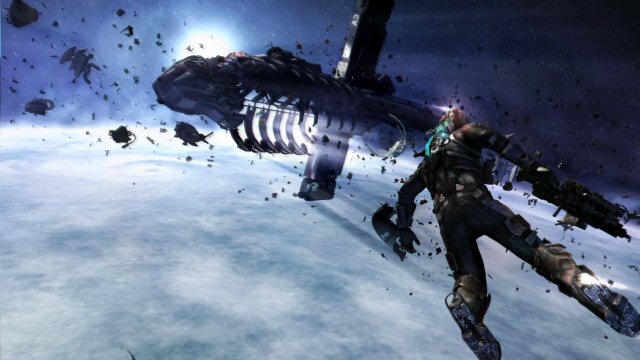 Dead Space 3 PS3 Review. With Nine chapters and an ending chapter to adventure through on your own or with a friend, Dead Space 3 is a worthwhile ride to horror and adventure. Those developers that get it know to keep the core elements of the original and enhancing and tweaking in new elements. The game evolves in a more natural feeling way. Visceral Games gets it and they deliver it to the gaming consumer big time by moving the series forward and evolving with its players (Old and New) and fan base. Other franchises who thought to change to keep up with the times and keep things fresh fell a little short. Not so here. Visceral Games and EA have thrown some curves at us all for the best. The story continues and brings in new slants; the game play while familiar has been pumped up with some welcome tweaks. The scares are still there, but the action set pieces have been ramped up with tense and very welcome jaw dropping surprise moments. Again, like any entertainment medium there will be lots of opinions on the choices and direction of the game. While the game may have some moments of stumbling here and there in what it delivers, the good far outweighs any gripes the less than forward thinking elements may manifest. The game delivers on a bang for your buck good length of game play. No idiotic 7 or 8 hours here, you get some full hours on hours of emersion here. Isaac Clarke is back, and just like any good movie there is yet another number stamped in after the title. Our bad luck hero, and let’s face it, to have this stuff keep happening to you is nothing but bad freaking luck. 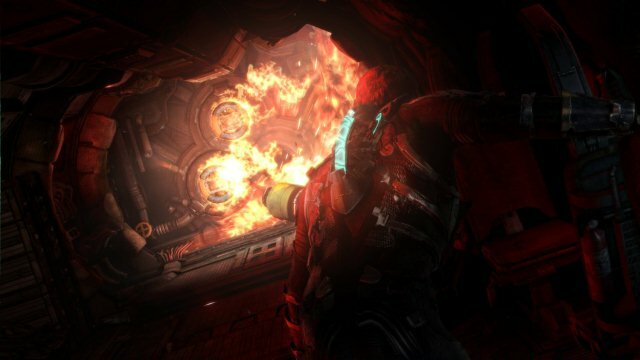 Dead Space 3 seems to be brining everything together from the other games and Isaac gets the answers to so many questions, including the dark secrets of the Necromorphs… in this latest adventure. There are awesome new locations, including a very inhospitable world wracked with snow and ice. We also get a few romps in space, and of course deep dark places terrorizing us with the atmospheric tight darkness and creepy sounds. Things just out of view of our flash lights skitter about rushing in to rend us into death. 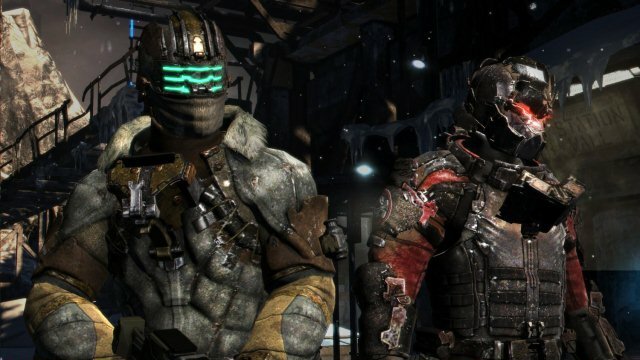 Really good franchises have really good stories, The Dead Space franchise is one of those that have some great stories to tell. As we know though a great source for stories does not necessarily translate well if the director does not deliver the full range of what needs to be placed on screen. If they do not deliver those essential elements of drama if it’s even present in the script, things just fall flat. 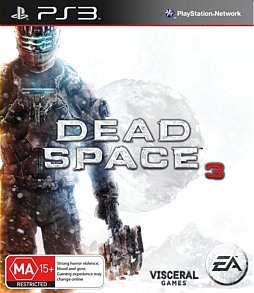 Dead Space 3 brings the elements of story duality and conflict, great new set pieces of action and thrills and of course a mix of scares and surprises to get the adrenalin flowing. Story, visuals and sound elements both in sound effects and music join to make a deliciously sensational experience all around. 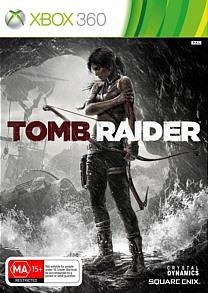 Some may argue it has dipped into more of the adventure horror, rather than survival horror. That’s ok, the right mix is there and adding in the new weapons customizations and the drop in drop out coop play involving the whole campaign, the game is going in the right direction for me. Cause and effect is truly the foundation of storytelling, the developers created the story, the back story, the characters and each characters motivations. You feel like they are unique individuals with their own unique psychological and emotional baggage. Thankfully the characters actions and the line deliveries from the voice actors resonate with truth. My friends if you have looked over my writings in the past you know I do my best not to give anything away when it comes to story and events that transpire in the story. I feel to do so is a spit in the face of the developers, the publishers and is a sneer and kick between the legs of us the gamers, and I am a gamer. So, there will be no spoilers and no giving away plot and events. I can say that Dead Space 3 goes to wonderful lengths to fill in the blanks for all the questions we have had about events, and how things came to be the way they are. Beginning with a prologue that sets things up nicely, not only explaining to a point on what has happened over the past few games, but essential history of The Markers and the dark past. 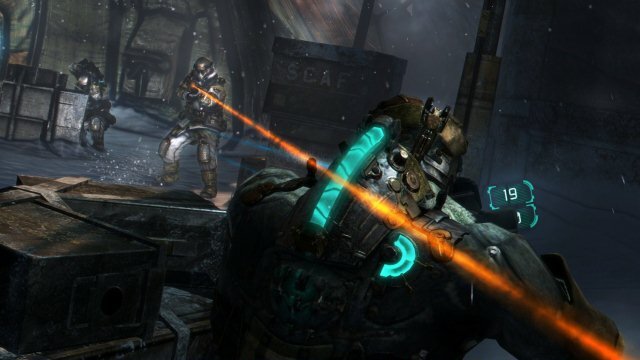 Dead Space 3 is a Third-Person Shooter with a mix of action-survival-Horror elements. 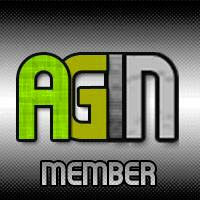 The game gives us decent enough challenge either in single player or the drop in drop out game play with a friend. Better yet, it’s all in campaign mode, which is well, let’s face it pretty awesome. As noted the weapons bench is back also, though this time around there are some pretty intensive tweaks to it. Previous games focused on our hero having access to various tools as an engineer that was used just as efficiently as weapons. This time around the breath of fresh air is the customization and weapon creating. The weapon/work benches are where players can create some truly inspired and devastating weapons. There are a myriad of different parts that are included in guns, such as frame and the different attachments. Though in order to craft weapons you had better make sure to have plenty of the resources on hand to do so. These include semiconductors, tungsten and scrap metal. In a pinch some items can be broken down for their resources. During game play you have access to scavenger bots, you can send them out to hunt and bring back resources. 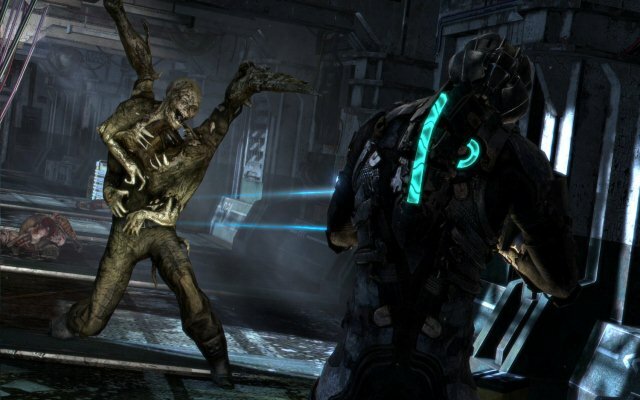 With Nine chapters and an ending chapter to adventure through on your own or with a friend, Dead Space 3 is a worthwhile ride to horror and adventure. Oh and like some cool movies these days that have a bit more to tell in the story after the credits finish up, stay through the credits and check it out. Locations are not to bad, they are a welcome change of pace, though after a time you are longing for something to happen, or some other cool area to be found on the savage blizzard encrusted ice world. When you are in a vaster place like outer space, the grand vista of it, while pretty awesome begs for something more to happen. Like any story, it has its moments, and then also it has its grinding down moments as well. While I did enjoy the campaign on my own, I would say that the best overall experience of the game is playing with a friend.